Hermsen is feeling optimistic about the GRR 2019, with a dozen competitors from the Netherlands, Canada and the U.S. already signed up. He hopes to return to the earlier format with open (spinnaker and non-spinnaker), multihull and bareboat competitors. Team Statia will return to defend their title, and the Canadian Yankees will be back for the fourth time. 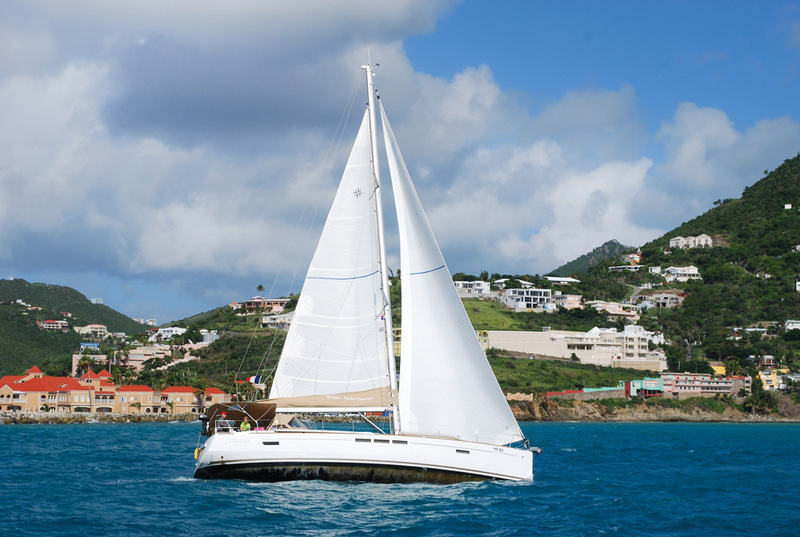 Statia Tourism, Sunsail and The Moorings bolstered the return of the event, along with Windward-Adventures, and Hermsen said he hopes to see support from St. Maarten Tourism and Bobby’s Marina, which celebrates its 50th anniversary this year. “It means the recovery of the regatta, the Phoenix rising from the ashes,” he declared. Surely, the hurricanes hit the islands hard. Although some of the structures aren’t in tip-top conditions, and the selection of boats in inventory is still building, the welcome has never been warmer. And nothing can destroy the experience of an exhilarating reach through the turquoise blue Caribbean sea. The wind in your hair, spray in your face. Laughing on the rail with your friends. Enjoying drinks at the anchorage after winning a race. Hurricanes can ruin a lot of things, but they can’t spoil the sea. GRR 2019 will be held November 14 to 18. For more information, go to http://goldenrockregatta.nl. 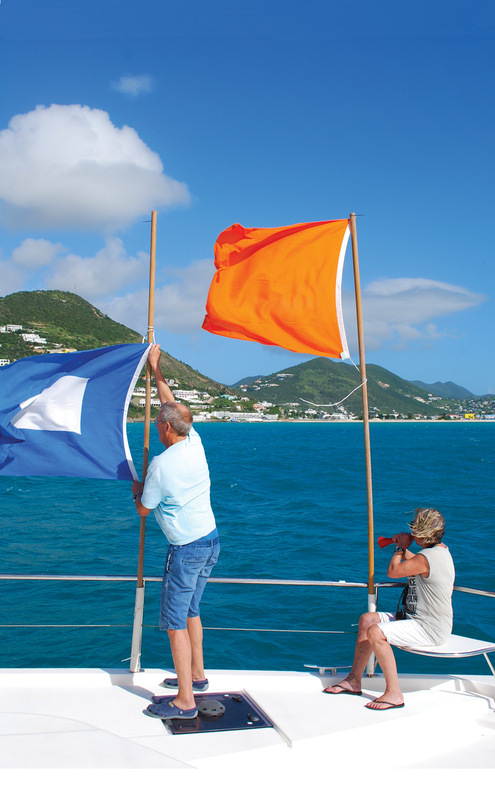 It was breeze on for the fleet as it left the starting line in Great Bay, Philipsburg, St Maarten.